The restorations available at May St Dental Centre are created in a local Australian laboratory using the safest and highest quality of materials. Our crowns and bridges are no exception, which can be used to correct common dental problems including missing or damaged teeth. A dental crown is a cap that looks like a tooth. It’s designed to cover a tooth that has been damaged by decay, trauma, fractured or broken teeth or large fillings. With a custom fit, the crown goes over your tooth seamlessly for a completely natural look, providing the needed support and strength. We usually recommend porcelain materials for a crown because of their durability and aesthetically pleasing look. Once we’ve taken the necessary impressions and sent them to our laboratory, your crown will be sent back within 10 days. A dental bridge is designed to replace one missing tooth or multiple missing teeth. Just like crowns, they’re usually made from porcelain. The bridge is placed on the teeth that neighbor either side of the gap created by a missing tooth with a false tooth suspended into the space. It will prevent your other teeth from moving out of place and improve your smile and self-confidence. Two to three visits is required for a crown or bridge. The first step involves preparing the natural tooth or teeth to receive the crown or bridge. Impressions are then taken of the area, which will allow the lab to create a restoration with the perfect fit. Before you leave our practice, you’ll receive a temporary restoration to wear meanwhile. 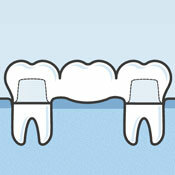 When completed, you’ll return for a follow-up to have your crown or bridge fitted. We’ll make sure that any adjustments needed are done, then cement it into place. 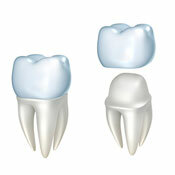 Dental crowns are designed to be durable and to function much like your own teeth. You need to use common sense, however, and avoid biting down directly on foods like hard candy or nuts. A broken crown not only requires replacement, but you may also damage underlying healthy tooth structure. Though the crown or bridge isn’t a natural tooth, you should care for them as if they are one. Brush the crown or bridge and floss around it as normal to make sure that the gum around the restoration stays healthy, as gum disease can still set in. Contact us today to learn more about crowns and bridges East Fremantle or to schedule your appointment! Same-day visits are available.